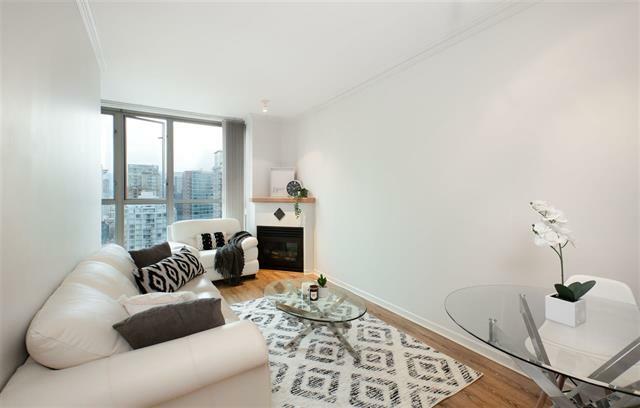 Easily one of the most desirable condo ownership opportunities in Vancouver Downtown! Welcome to The Savoy! This 1 bedroom/1 bath has 9' floor to ceiling windows, natural light, gas fireplace, insuite-laundry and expansive city views. Full amenities include exercise centre, sauna, hot tub, pool & guest suite. Unbeatable location and steps away from Granville entertainment district, Yaletown and within walking distance to all downtown amenities. Rentals allowed and pet friendly. Perfect for investors and first time home buyers! 1 parking & storage locker included.